Okay, it's hard to take a good pic of a lit tree! This is basically what I did...... I was lucky enough to be in the right place at the right time when my bestie's brother was trimming his Manzanita trees so I grabbed a piece and hauled it home this summer. I sprayed one of the branches with matte white paint and left one of them natural. My grandma's was sprayed with snow which is something I might add in the future. Next, I cut the pieces into manageable sizes and placed them into an old cast iron urn that I've had for years and packed newspaper tightly around them to add stability. 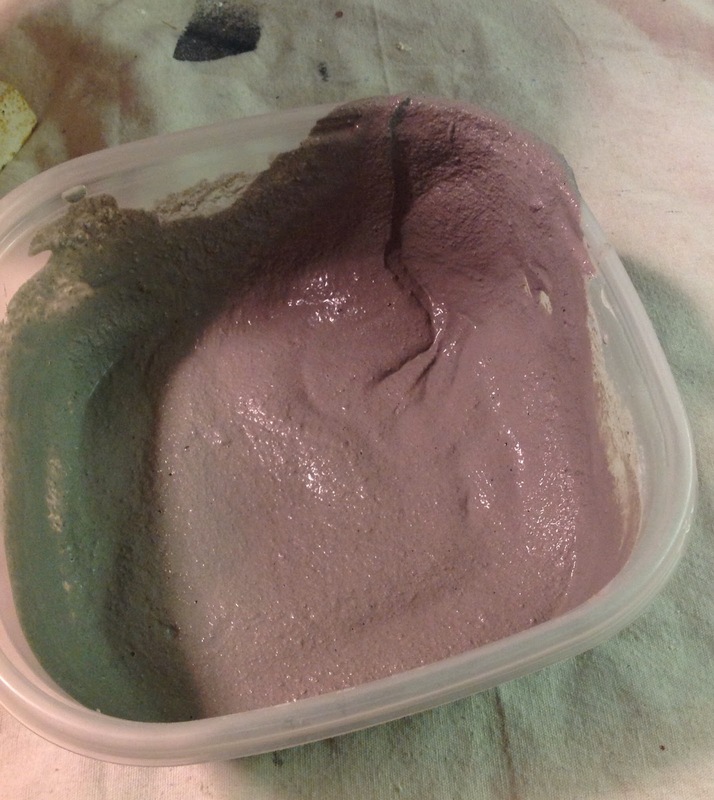 Then, I mixed together 2 cups of mortar mix (cement mixed with sand) and 2 cups of Plaster of Paris and enough water to make it pourable and the consistency of pudding. I poured the mixture into my urn and tapped it down so it would get into all of the crevices. It set up super fast, like within an hour, so I was able to complete my next step...adding the strings of white lights! Once it was completed I started adding some of my favorite ornaments and decided to go with my glass and handmade pieces. I also added some pine cones and some pieces of grapevines that I cut from my Dad's home years ago. I added a grapevine wreath around the bottom so it would look like a bird's nest and a few bits of tinsel here and there. Then I topped it with my handmade blinged out Starfish star on the top. Love that starfish!What a wonderful idea. I llove to read this type of post. Fantastic post here. Every visitor is looking good post and after reading this post i would like to say this is one of the best post. Thanks and carry on it.